The Russian foreign ministry has called for an investigation into the disappearance of a Russian construction worker, Pyotr Makaikin, in Iraq. His relatives said he was lost after a dispute with his Iraqi business partners. The wife of Pyotr Makaikin, has accused his business partners in Iraq of holding him to a $US 150,000 ransom after his company broke the terms of a building contract. “They said either you pay or you never see your husband again. I'm terrified about what may have happened, especially because Pyotr was very ill and suffered a heart attack before,” said Svetlana Makaikina. The 44-year-old construction worker left Moscow for his fourth business trip to Iraq in the autumn 2006. He was the only one who dared to go to there, while other construction workers considered the trip too dangerous. Mr Makaikin last called his family from the Iraqi town of Suleymaniya on January 8. 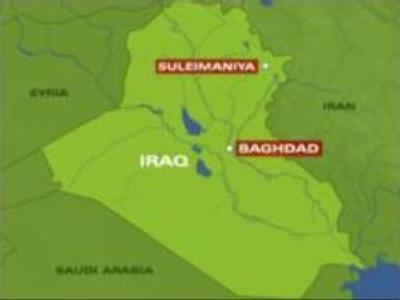 The Iraqi town of Suleymaniya is in the centre of Kurdish territory, which is partly controlled by U.S. troops. While the whereabouts of Mr Makaikin remain unknown, his relatives are desperately seeking help. They hope that this situation can still be resolved by means of diplomacy. In addition, analysts suggested Russia could use its previous connections with the Kurdish community to obtain information about Pyotr Makaikin.